Children are born ready to learn. In fact, research shows that 90% of the human brain develops by the age of five. Children learn best in the context of safe, nurturing, caring relationships, which are the foundation of ChildCareGroup’s Relationship-Centered Education model. Through our six nationally accredited Early Childhood Centers, ChildCareGroup provides a holistic model of quality education and care for our community’s most vulnerable infants, toddlers and preschoolers and their parents. 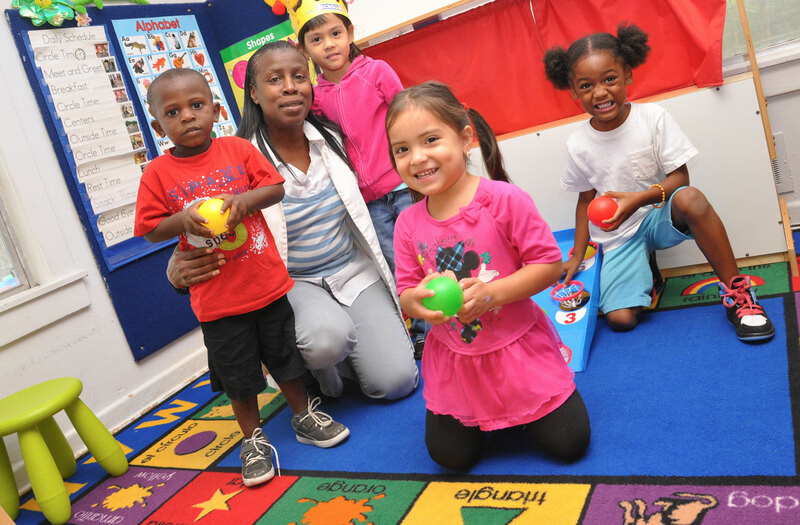 Using the Early Head Start and Head Start program model, ChildCareGroup provides high quality early childhood services that go beyond the classroom to serve the physical, social and emotional development of young children. All enrolled children receive height, weight, vision, dental and hearing screenings and developmental assessments. As needed, therapeutic early intervention services are provided on site at our centers. Teachers develop Individualized Education Plans (IEPs) for each child and keep parents informed on their children’s progress along developmental norms. All classrooms utilize the Frog Street curriculum and preschoolers in our Dallas centers are dual enrolled with Dallas ISD through the School Readiness Initiative. We utilize a Two-Generation (2Gen) Approach to educate young children and help their parents along a path to self-sufficiency. Our Family Advocates and other staff help parents set personal and family goals such as attending school, participating in job training programs, or further employment, and we collaborate with our community partners to help parents access these services. Parents provide input on the programs and information they need, forming the content of our Family University program. This holistic approach supports our belief that children do better as their parents do better. When families thrive, communities succeed. We follow Early Head Start and Head Start guidelines to determine program eligibility. Families qualify by meeting the Federal Poverty Guidelines, or if they meet one of the following criteria: foster child, disability, military families, homelessness. Early Childhood Centers are free for qualifying families.